The Cliburn is aiming for a new generation of pianists – kids. This weekend brings the Cliburn’s first international competition for 13 to 17-year-olds. The main Cliburn, held every 4 years, has helped launch careers, and an amateur contest has enlivened off-years. KERA’s Bill Zeeble reports, some wonder whether the newest effort is putting too much pressure on musicians too soon. When you’re good at 25 – which is about the age of most of the main Cliburn competitors – you were probably already amazing at 15, says Jacques Marquis, head of the Cliburn foundation. That’s because you began playing at 5 or even 4, he says. But Stuart Isacoff, a pianist and a longtime music writer, questions if the Cliburn Foundation really needs to worry about marketing. 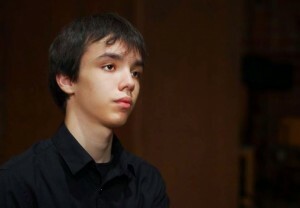 For example, the gold medalist from the 2013 Cliburn, Vadym Kholodenko, won three years of international concert bookings, professional management, and $50,000. Because of these rewards, pressure on main Cliburn competitors is intense. Isacoff worries gifted kids in the new Junior contest may be too young to handle that kind of stress. “There are some very sensitive kids who may have great talents and should be carefully nurtured and not put under too much pressure too soon,” Isacoff says. That’s why the Cliburn’s Marquis says the week’s schedule intentionally includes some low stress time, like tomorrow’s welcoming get-together dinner at the Fort Worth Museum of Science and History. The kids will live the week together in TCU dorms, then unwind next weekend at a closing party at the Fort Worth Zoo. In between, Marquis thinks these kids will handle the competitive pressures. 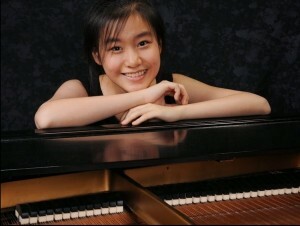 Youlan Ji, a 15 year-old from Bejing, has been playing for about half her life. Now a pre-college student at Juilliard in New York, she’s no fan of competitions. And she feels the pressure. But she’s also a Cliburn Jr. competitor. Ji is already in Fort Worth for a piano festival and master classes along with 17 year-old Adam Balogh, from Hungary. They’re competitors, but they’re also pals. Youlan gives Adam a high-five when she learns they’ve both lived mostly on their own, to study away from home, since they were 14. And publicity. Adam wants to make a life in music but says he still has lots to learn, though that hasn’t kept him from posting a music video on YouTube. Seminars during the Van Cluburn Junior will provide some lessons for these young pianists. In between competition performances, there’ll be sessions with top players on everything from launching new careers to selecting the right piano and repertoire. Lessons that might come in handy if they choose to enter the main Cliburn competition when they’re older.